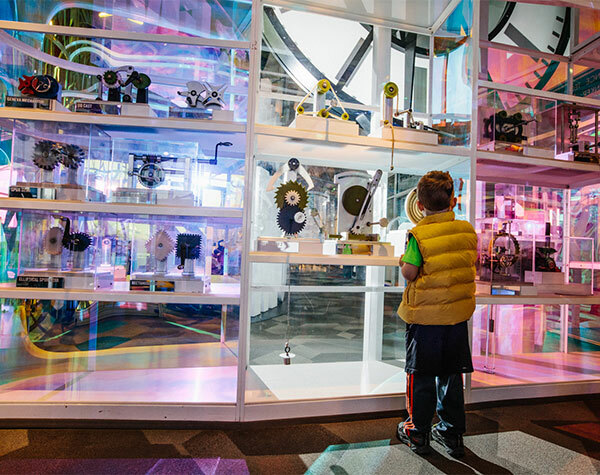 Explore motors, gears, engines, and power. Investigate ingenious engineering. 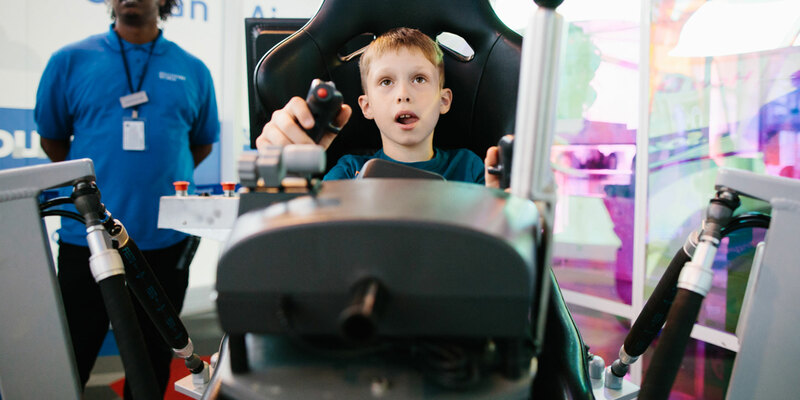 Pilot a virtual plane, sponsored in partnership with Southwest Airlines. Learn how machines move! And so much more! 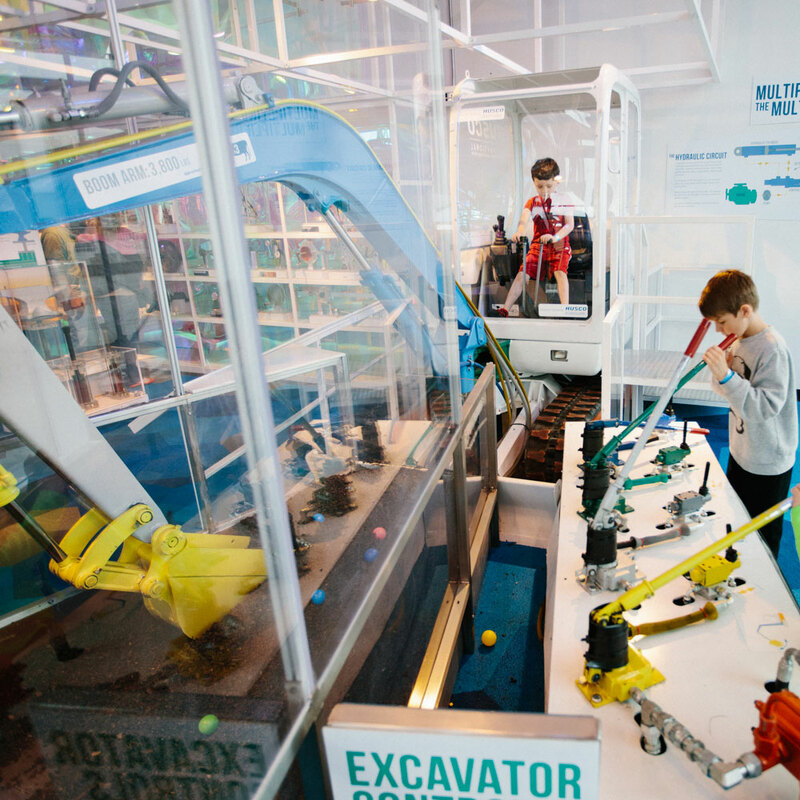 Explore the science of hydraulics at these fun, interactive stations. Investigate the foundations of fluid dynamics at this amazingly fun table. 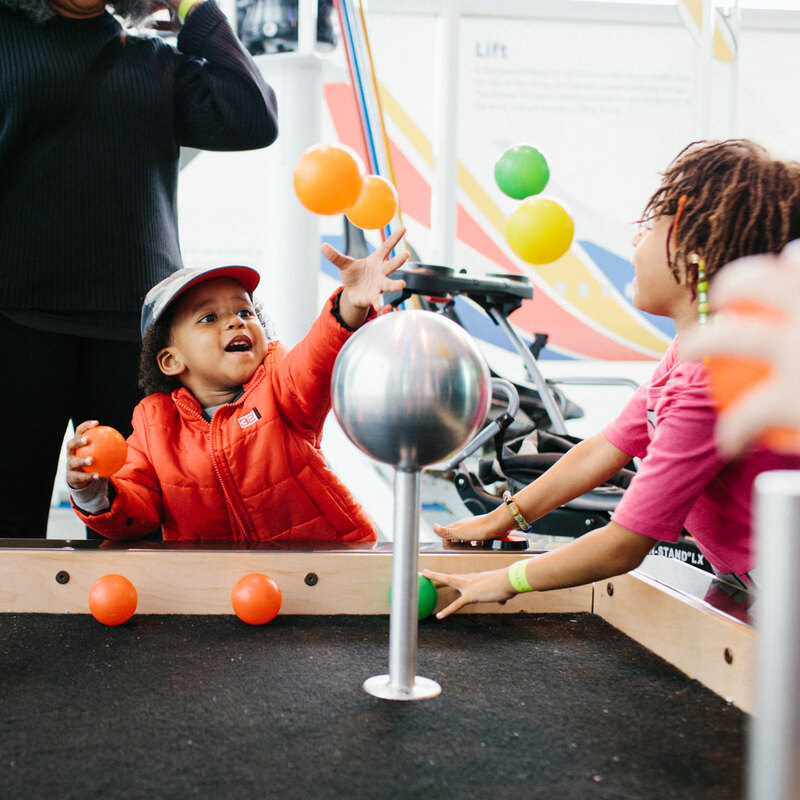 Suspend colorful spheres in the air as you discover how flight works. Sponsored in partnership with Southwest Airlines. Able to lift thousands of pounds, this hydraulic mini-excavator is easily as powerful as the old cable and gear steam shovels that were used to dig the Panama Canal. 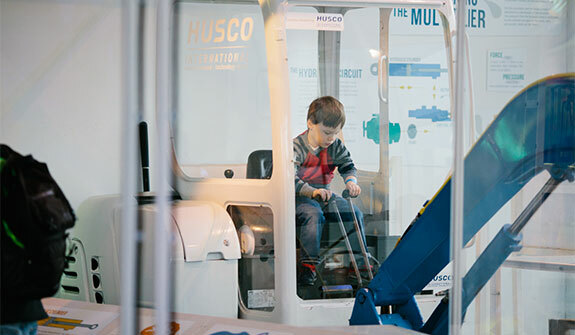 Work with your family and friends to operate the boom, bucket, swing arm, and tracks. 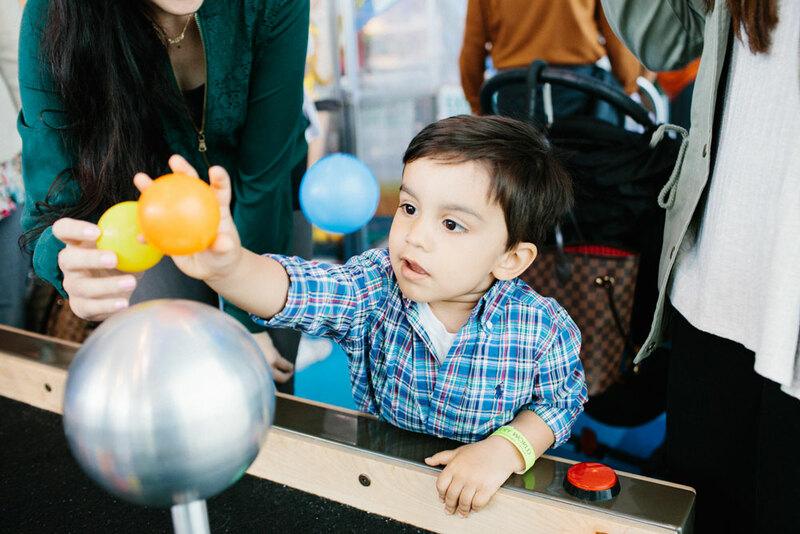 You can also investigate Pascal’s law and lift an impressively large object, explore power density and lift your friends, and discover what makes fluid power so flexible. Multiply your might and amplify your ingenuity with Fluid Power!